The Economic Community of West African States was established in 1975 by 15 member nations, who signed a treaty in Lagos, Nigeria, on 28th May, of the same year. The Community was later joined by a 16th member, Cape Verde in 1976. In 2002, Mauritania left the community, so membership is back to the original 15 membership. Currently, the member states include Benin, Cote d’Ivoire, Guinea, Togo, Burkina Fasso, Senegal, Mali, Niger, Cape Verde, Guinea-Bissau, Ghana, Liberia, Nigeria, Sierra Leone and The Gambia. The headquarters of the Community is now at Abuja, having been previously headquartered in Lagos. Nigeria. One of the achievements of ECOWAS is that it has promoted intra-West African trade among member countries. This has contributed to economic growth in the sub-region. Another achievement of ECOWAS is the improvement of the road network in the sub-region. One major road project the ECOWAS can be lauded for is the Abidjan-Lagos High Way starting from Elubo through Aflao to Lagos. It can also be congratulated for the Lagos-Nouakchott High way project. The ECOWAS has afforded both the Anglophone and the Francophone countries within the sub-region an official platform to discuss issues of the sub-region. This has helped to tone down the suspicion and lack of trust between the English and French speaking countries in West Africa. 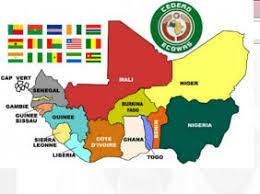 Another achievement of ECOWAS is achievement of a direct telephone communication among member states of the community. Hitherto, direct communication among the various states was absent. Telephone connections were routed through Europe before connecting to another West African country. All these have been largely eliminated. One of the aims of ECOWAS was to ensure the free movement of persons, goods and services, unhindered within the sub-region. This has been largely successful. A citizen of a member country with valid documents could reside in another member state for a maximum of ninety days without a visa. ECOWAS has largely achieved peace and security in the West African sub-region. The establishment of the ECOWAS Monitoring Group has helped to deploy troops to ensure peace in war ravaged areas of the sub-region. The ECOWAS has regularly organized summits which were attended by Heads of member states. At these summits, the problems of the sub-region were tabled for discussions and solutions recommended. 1. a. Highlight six achievements of the Economic Community of West African States? 2. a. Describe the composition of the Economic Community of West African States. b. In which five ways has the ECOWAS achieved its aims and objectives?